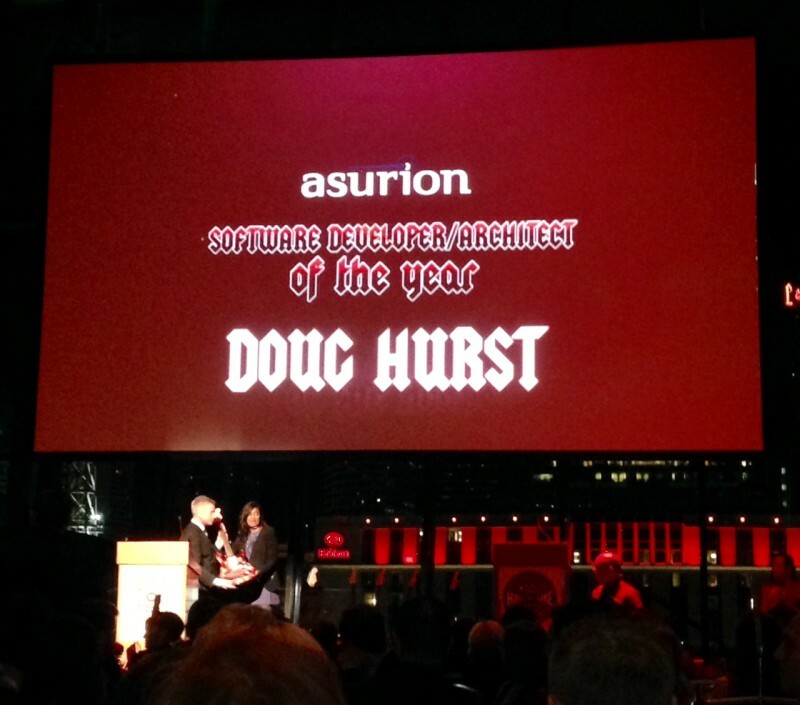 The Nashville Tech Council awards were last night at the Country Music Hall of Fame and Asurion was proud to sponsor the Software Developer/Architect of the Year award for the second year in a row. Asurion Vice President of IT, Carl Bush, presents the first place award for Software Developer/Architect of the year at the 2015 Nashville Tech Council Awards. The three deserving finalists included Doug Hurst from Emma, Alex Berta with NSG LLC and Chris Collins of Dollar General. Carl Bush, Asurion’s Vice President of IT, (pictured) presenting the first place award to Doug Hurst, Senior Architect at Emma. “We know how important software developers and architects are to keeping Life’s Operating System up and running. It’s for this reason that we are excited to be a part of the Nashville Technology Council and thrilled to be presenting the Software Developer/Architect of the year” said Carl. As one of the larger tech companies in Nashville, Asurion has been involved with the Nashville Tech Council for a number of years and was proud to take part in the awards ceremony last night. Congratulations to all the winners and finalists. To learn more about Nashville’s growing tech industry, check out the NTC’s website.